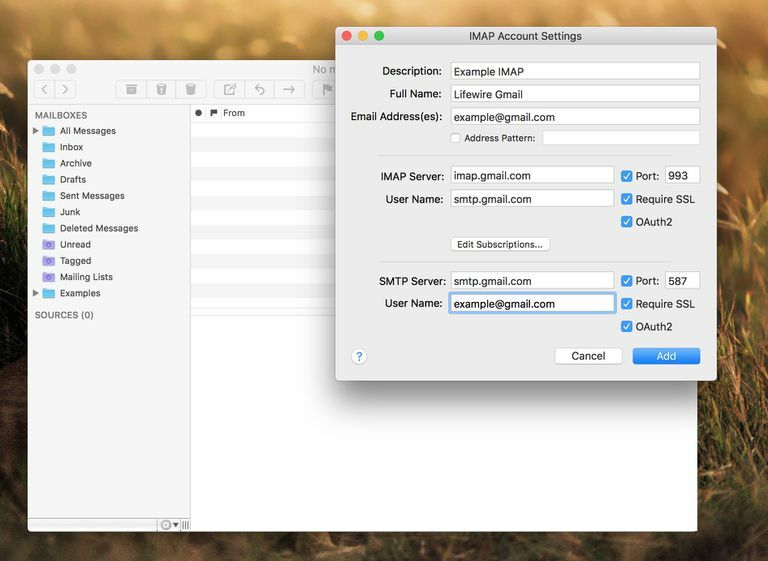 What Are the Gmail IMAP Settings? You can use the IMAP protocol to read your messages from Google Gmail in other mail clients, such as Microsoft Outlook and Apple Mail. With IMAP, you can read your Gmail on multiple devices, where messages and folders are synced in real time. Use an application-specific Gmail password if you have enabled 2-step authentication for Gmail. For the Gmail IMAP settings to work in your email program, IMAP access must be enabled in Gmail on the web. As an alternative to IMAP access, you can access Gmail using POP. Either TLS or SSL can be used depending on your email client.